Fireplaces are desired by many homeowners. They look great, heat your home and can smell fantastic if you burn scented logs. 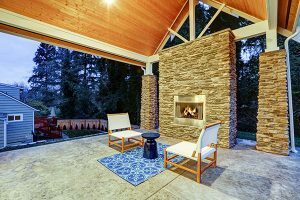 However, many homeowners don’t know that there are several fireplace accessories they need to get the full enjoyment out of their fireplace. Each of these accessories changes how your fireplace may look or function. Some are small tools while others are large and will transform the overall look of the entire room. We’re going to go over our 10 favorite fireplace accessories. Let’s get started! 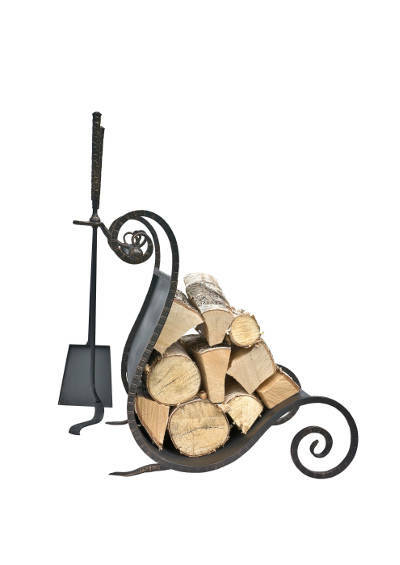 If you’ve ever had or seen a fireplace, then you’ve also seen a fireplace poker, or fire iron. They’re long rods with a pike at the end and are made of a fireproof material. Fireplace pokers are used to adjust the placement of coals and wood when the fire is already going. This stirs up a fire and helps it burn larger and longer. Think of it like calling an audible in football – you’re adjusting on the fly. They’re essential because they’ll help you get the most out of your fireplace. You won’t have to restart the fire every time it goes out. 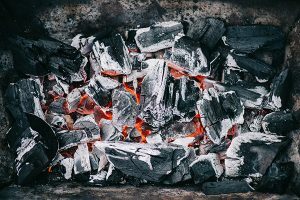 By simply moving the coals and wood, you can have it catch again before it fizzles out. As we’re sure you’re already aware, fires can be dangerous, even if they’re contained within a fireplace. It can spark and catch nearby items on fire. You need to take the right safety precautions to prevent this from happening. That’s where fireplace glass doors come in. Their main goal is to prevent sparks and harmful smoke from getting into your home while still allowing you to enjoy the beauty and warmth of a roaring fire. That’s not all – when your fireplace isn’t in use, the glass doors work as an extra layer of insulation for your home. Drafts won’t be able to get into your home through the chimney. This will help you save money on your energy bills because your furnace and air conditioner won’t have to work as hard to reach your desired temperature. If you have a wood burning fireplace, you’re going to need wood. However, you don’t want a bunch of wood laying around your house, garage or backyard. You’ll need a place to store it that doesn’t look out of place. A fireplace wood rack is the perfect place to store your extra logs. They come in many different shapes and sizes to watch your home. You can get a small rack for the side of your fireplace that will hold a bundle or a large bookshelf for the side of your home that’ll hold a years worth of wood. You don’t want to have the fire on the ground of the fireplace. You’ll need to prop it up using a grate. You’ll get a longer, more complete burn thanks to having a fireplace grate. There are three types of grates available. Steel bar grates are used for wood logs, cast iron are used for wood or coal and grate heaters produce heat back into the home. When you use your fireplace, you produce ashes and soot which can line the floor of your fireplace. If that’s not cleaned up before your next burn, it can become a fire hazard. 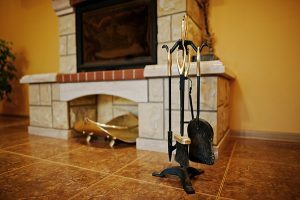 Small fireplace shovels are designed for small jobs such as removing ash and debris from inside of your fireplace. It might not seem essential, but it needs to be done to keep your home safe when you use your fireplace. Having a functioning fireplace damper is one of the most essential parts of your fireplace. It needs to be able to open and close , otherwise you won’t be able to use your fireplace until it’s replaced. You’re probably wondering why it’s so important. When you’re not using your fireplace, you want to have it closed. This is the biggest defense against outdoor drafts coming through your chimney that your home has. Without a functioning damper, you might as well knock a huge hole in your wall. However, when you use your fireplace, you need to open your damper. This allows smoke to billow out of your chimney. If it remains closed, the smoke comes into your home which is very dangerous. If you need a replacement damper, get a free quote from Early Times. We’ll measure and make sure you get the right fireplace damper for your chimney. 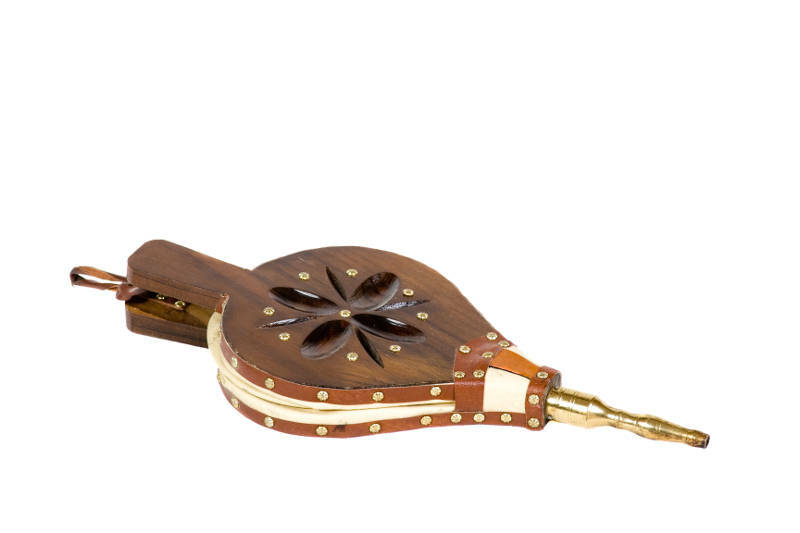 Bellows were very common in the 1960s and 1970s but you don’t see them as often anymore. It’s composed of two pieces of wood that, when pushed together, blow air into a dying fire. What this does is stroke and ignite the fire. Fires grow when exposed to oxygen which is what you’re blowing into the fire to help it burn quicker and stronger. Many people think bellows are a thing of the past because it’s old fashion technology but that just isn’t true. Today, we have electronic bellows which take the compressing action out of the equation. It’s like a giant blow dryer for your fireplace. That being said, some homeowners prefer the old fashion bellows. It’s for less of a practical use and more of an antique decoration. Whichever you choose for your home will help you keep the fire alive a little while longer. Many homeowners don’t think about andirons when they get their fireplace but they’re very useful. They consist of two horizontal bars found in the front of open fireplaces that allow the wood to rest on. Their main purpose is to allow drafts and air to pass around it. This reduces the amount of smoke and keeps the logs burning faster and longer. A mantel is the largest of the fireplace accessories on our list. They’re found above your fireplace on the outside and are often used to display items and pictures. Your mantel can be made from any number of materials such as stone, wood or brick. 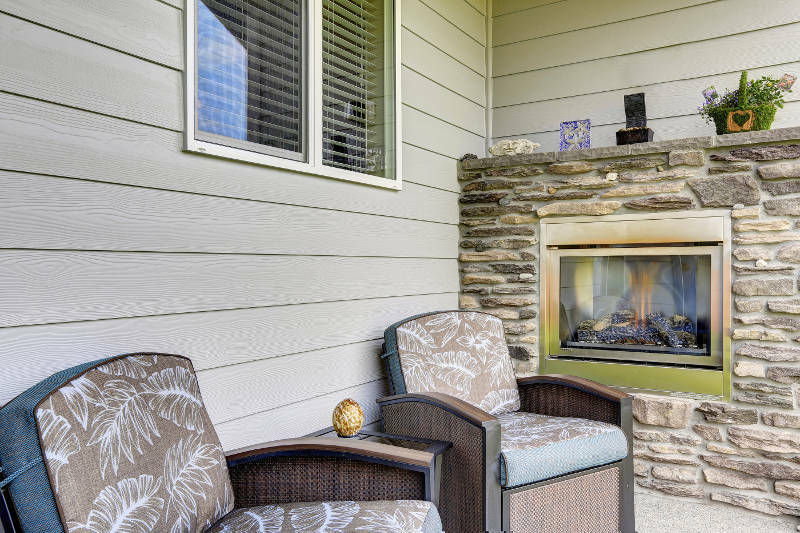 You want it to match the exterior wall and fireplace that accompanies it. When done right, a mantel can be the center piece of your fireplace and enhance the overall look of your room. 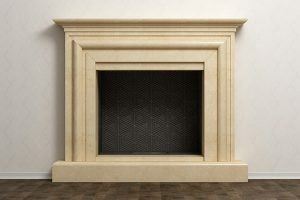 More and more homeowners are opting out of traditional fireplaces in favor of fireplace inserts. A fireplace insert is a boxed fireplace that fits inside of a masonry fireplace. It’s like fireplace-ception. What this does is eliminate outside drafts from getting into your home completely. They’ll also warm your house quicker and keep it warm longer thanks to its energy efficiency. 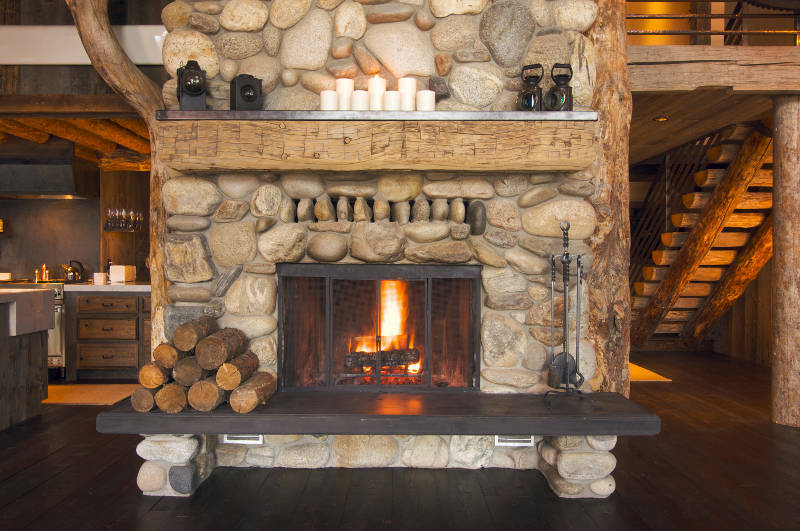 The 10 fireplace accessories above are essential to homeowners with a fireplace. They help maintain, improve the function and increase the beauty of your fireplace. Early Times is Chicago’s fireplace expert. We’ve been serving the Chicagoland area since 1985 and offer high quality fireplace dampers, glass doors and inserts. Get a free quote now and see why we’ve been keeping Chicago homes clean and safe for over 30 years.